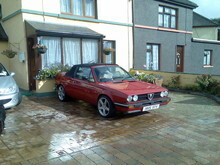 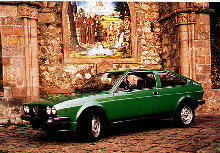 Alfa Romeo added a coupe version of its popular Alfasud to its car range in 1976, the new model was called the Alfasud Sprint. 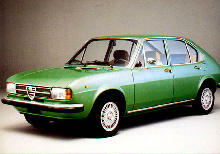 The Sprint continued the Alfa Romeo tradition of building a two door, four seater coupe on an existing saloon platform. 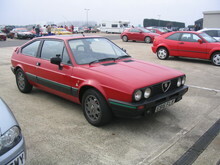 The Sprint body was styled by Giugiaro and contained many of the Alfa styling trademarks and featured a four headlamp nose. 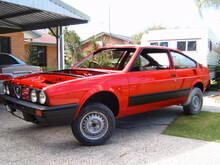 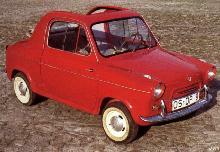 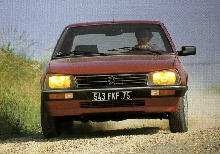 At first the Sprint came with a lively (75bhp) 1286cc four cylinder engine, later cars received a 1350cc unit and a powerful "Veloce" version used a 95bhp, 1490cc engine.